If we observe keenly, we can see that custom ROMs are becoming very influential in the recent times. With rapid increase and inception of newer and efficient version of Android, the demand for the same keeps rising for almost every device. Now, it takes a good amount of time for the Android OS to be rolled out to every device out there. This is where custom ROM and its developers drop into the scene. With that said, in the context of the recent release of Android 8.0, till now a few devices have received the update. So, with an increase in demands, custom ROMs based on Android 8.0 Oreo are being developed and shared. And currently, custom ROM basing on Android 8.0 Oreo for Galaxy S6 is rolling. It is an unofficial build yet it brings in many promising and exciting features of Android Oreo to the Galaxy S6 and S6 Edge. We have listed the new features and the changelog below in details. And also being an unofficial build, the OS has some bugs. 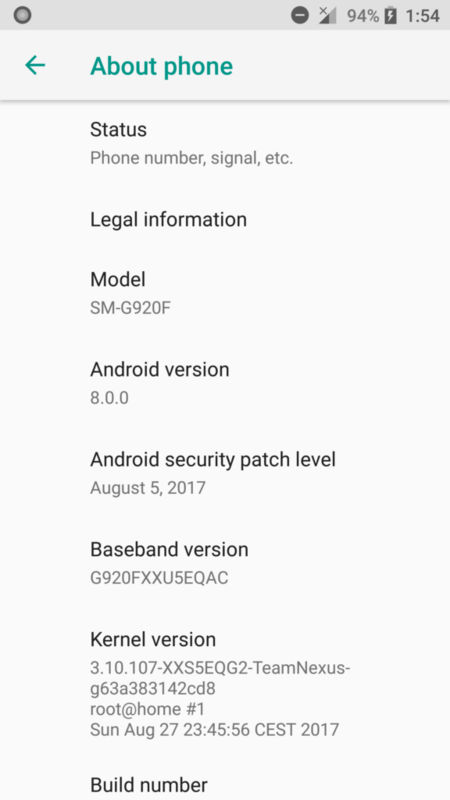 Also, Android 8.0 Oreo is fairly new. So, it will take some time to settle down without bugs and issues. Also, keep your eyes peeled for the forthcoming updates. And definitely, current bugs will be fixed and OS will get upgraded. We have explained the steps to install the ROM and also provided the direct download links for the same. Let us see what we will get on Samsung Galaxy S6 powered with Android 8.0 Oreo. 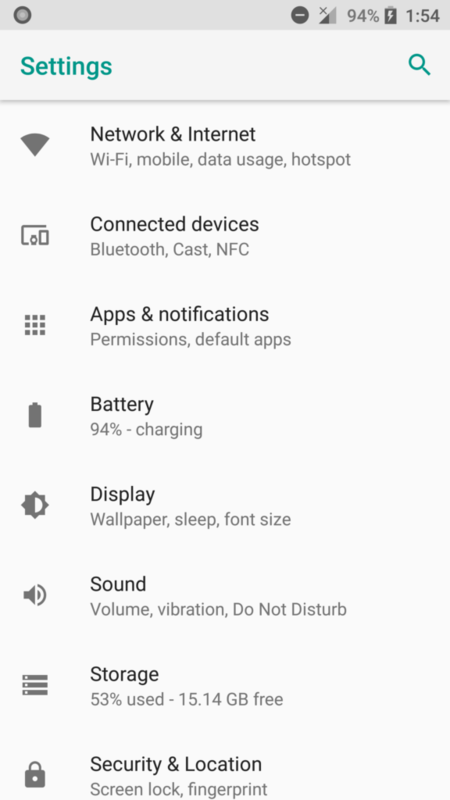 8.0 Oreo for Galaxy S6 brings about the following working features. Normal telephonic services like phone calls, messages etc. Well, this is needless to say that Android 8.0 Oreo is a fresh release. so, there are high chances there will be momentary bugs in the OS. Obviously, the developers will fix the bugs in due course time. But as of now, the following bugs may be found while using 8.0 Oreo for Galaxy S6. HDR videos may lag because hardware codecs are not correctly working as of now. But developers will be fixing it soon. Unable to play recorded videos when accessed from the gallery. Let’s take a look at the changelog to get an idea of what to expect from the system. You can now enjoy all the above-mentioned features and upgrade on Your Samsung Galaxy S6 all thanks to developer lukasbO6. Here we are providing the direct download links to download the ROM, Gapps and Magisk manager. 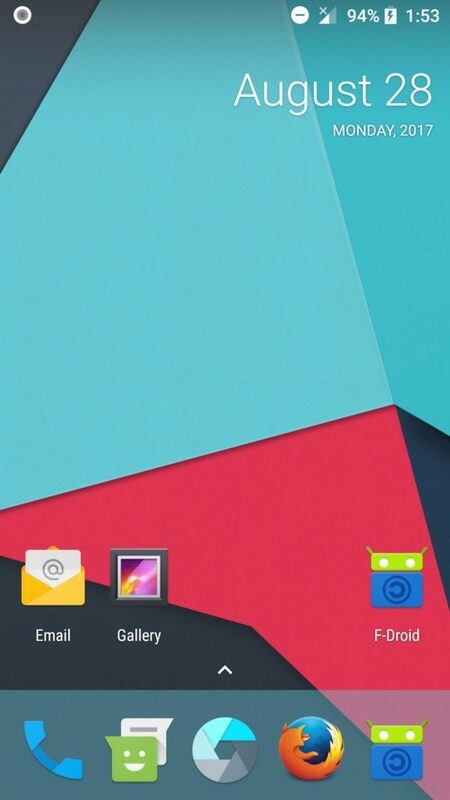 The following is a custom AOSP ROM for Galaxy S6. The Galaxy S6 Edge ROM will come soon. So stay tuned. It only comes to the SM-G920F international variant at the moment. We will soon see new ROMS like Lineage OS 15 or other US variants as well. How To Install Android 8.0 Oreo for Galaxy S6 (Edge)? Make sure your Galaxy S6/S6 Edge is rooted with latest TWRP. Create a full back up of Your device data in case data corruption occurs. Take a full Nandroid Backup from TWRP. Make sure your device is at full battery charge. Warranty of your device may void by custom ROMS. AndroidSage won’t be responsible if any damage occurs to your device. Now, let’s look at the steps of installation to correctly install 8.0 Oreo for Galaxy S6. Step-1 Download the ROM, Gapps and Magisk manager. Step-2 Transfer all the downloaded file from PC to phone. Step-4 And then reboot to TWRP. Step-5 Perform a full wipe i.e wipe Cache, Dalvik cache, system etc. Step-6 Now flash the custom ROM. Step-8 Flash GApps and Magisk. Android 8.0 Oreo is now ready for use on Your Samsung Galaxy S6 device. Install, enjoy and do let us know. Stay connected with us on our social media platforms.